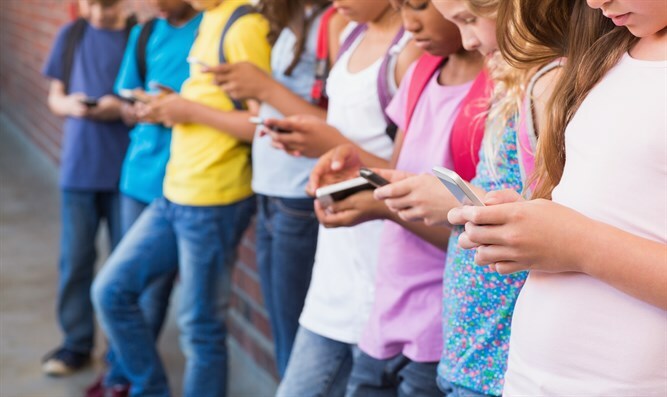 France yesterday passed a ban on smartphones as well as other kinds of internet-connected devices, such as tablets, for schoolchildren between 3 and 15 years old, reports CNN. French high schools with students 15 and older may choose whether to adopt the phone ban for their students. "We know today that there is a phenomenon of screen addiction, the phenomenon of bad mobile phone use... Our main role is to protect children and adolescents. It is a fundamental role of education, and this law allows it," said Education Minister Jean-Michel Blanquer on French BFMTV news. The law achieves one of President Emmanuel Macron's campaign promises, passing 62-1 and supported by members of Macron's La République en Marche! party. Some lawmakers from across the spectrum abstained, saying the law would change little. "This isn't a 21st century law in our eyes, but a law from the era of news channels and binary debate," said the leftist Unbowed France party Deputy Alexis Corbière. "In reality, the ban has already been made," he added, referring to a 2010 law. "I don't know a single teacher in this country that allows the use of phones in class." A 2010 law banned smartphones "during all teaching activity." The new law makes exceptions for disabled students, during extracurricular activities, and for "pedagogical use."